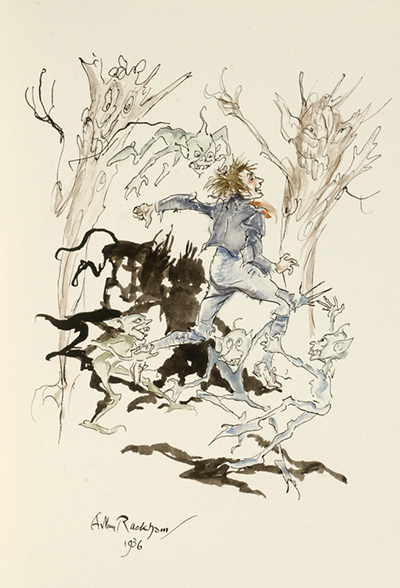 [RACKHAM, Arthur, illustrator]. BROWNING, Robert. 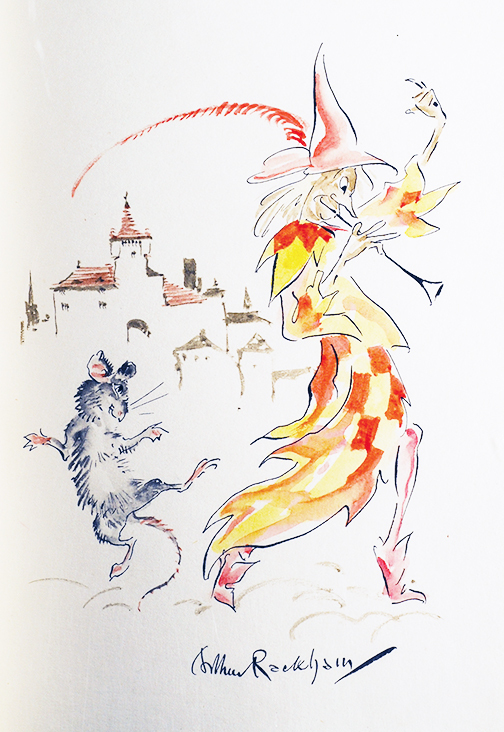 The Pied Piper of Hamelin. Illustrated by Arthur Rackham. 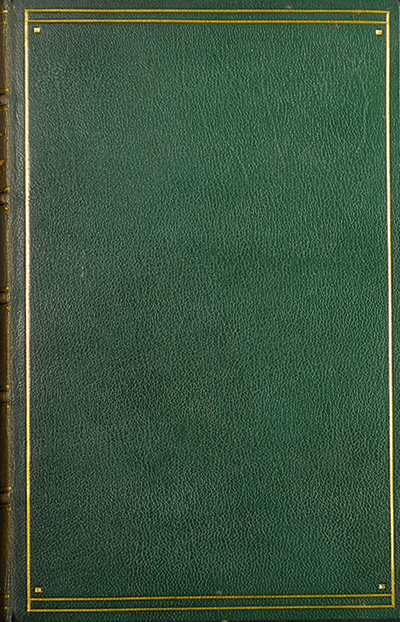 London: George G. Harrap & Co., Ltd. .
this copy being No. 4. Between 1931 and 1936, famed book illustrator Arthur Rackham, as gifts to his close friends, specially ordered nine to eleven copies of the following nine books he illustrated. [RACKHAM, Arthur, illustrator]. ROSSETTI, Christina. Goblin Market. Illustrated by Arthur Rackham. this copy being No. 7. The Arthur Rackham Fairy Book. A book of old favourites with new illustrations. this copy being No. 8. 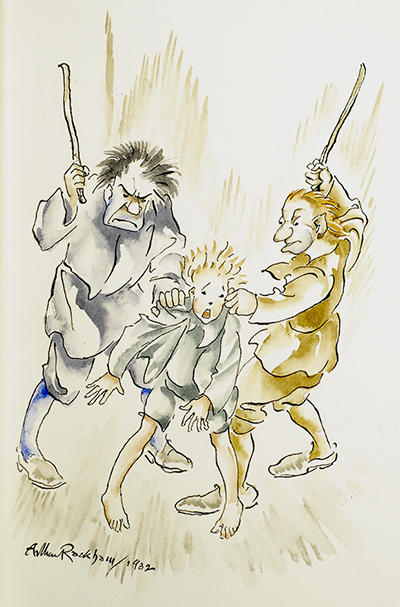 Rackham had them specially bound by renowned binders Sangorski & Sutcliffe and included an unique original watercolor in each. [RACKHAM, Arthur, illustrator]. RUSKIN, John. this being copy No. 6. The limitation leaves were printed on the verso of the half-titles and contain a statement written in ink by the publisher, George H. Harrap: "This edition, which contains an original painting by Arthur Rackham, is limited to nine [or ten] copies of which eight are for sale. George G. Harrap & Co Ltd."
[RACKHAM, Arthur, illustrator]. POE, Edgar Allan. Tales of Mystery & Imagination. Illustrated by Arthur Rackham. London: George G. Harrap & Co., . this copy being No. 5. 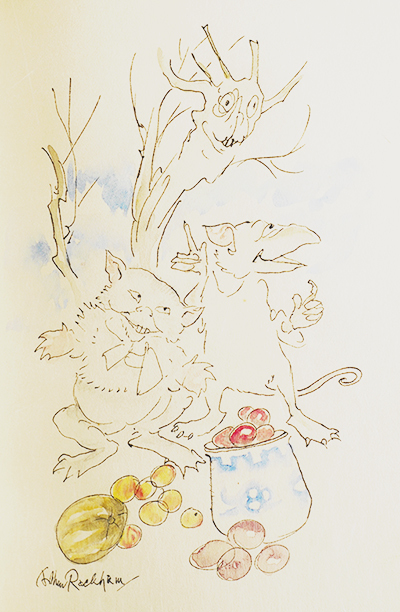 Including original art in some copies of books he illustrated was not unusual for Rackham. RACKHAM, Arthur, illustrator]. IBSEN, Henrik. Peer Gynt. A Dramatic Poem by Henrik Ibsen. 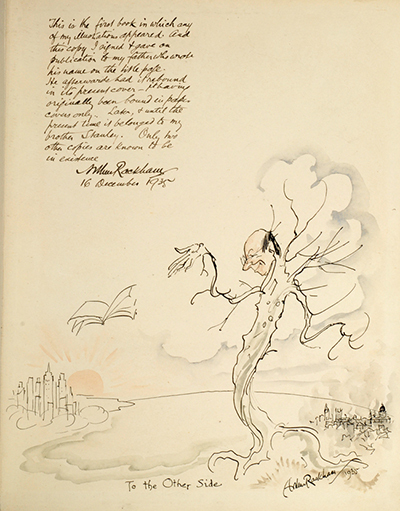 Original art, albeit simple pen & ink drawings, can be found, for instance, in trade edition copies of the Heinemann productions of Wagner, The Reingold & The Valkyrie (1910) and Siegfreid & The Twilight of the Gods (1911); and Hodder & Stoughton's signed and limited edition of Peter Pan in Kensington Gardens (1906). To The Other Side. With Illustrations by Arthur Rackham & Alfred Bryan. London: George Philip & Son, 1893. 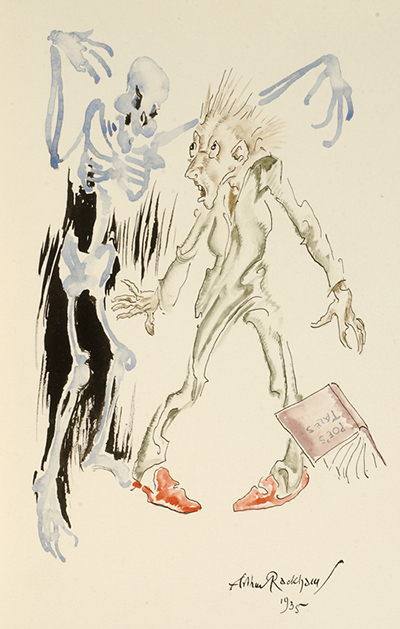 Rackham's personal copy of Rhodes' To The Other Side (1893) - the first book he illustrated - is graced by a delicate watercolor. 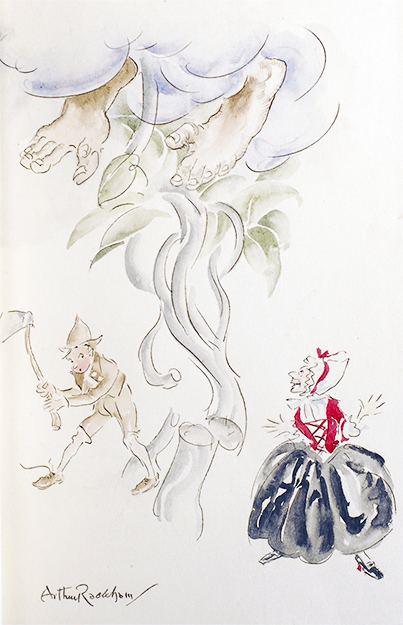 Rackham, per usual with his anthropomorphic trees, used his face as model. Special copies uniformly bound by Sangorski & Sutcliffe. Because of their rarity and popularity with collectors, copies of Rackham-illustrated books with original art by him are not inexpensive, generally running into low five figures. For the Rackham aficionado they're worth every penny.